White House Press Secretary Sean Spicer will step back from giving reporters the daily press briefing and is searching for his replacement at the podium. "We have sought input from many people as we look to expand our communications operation. 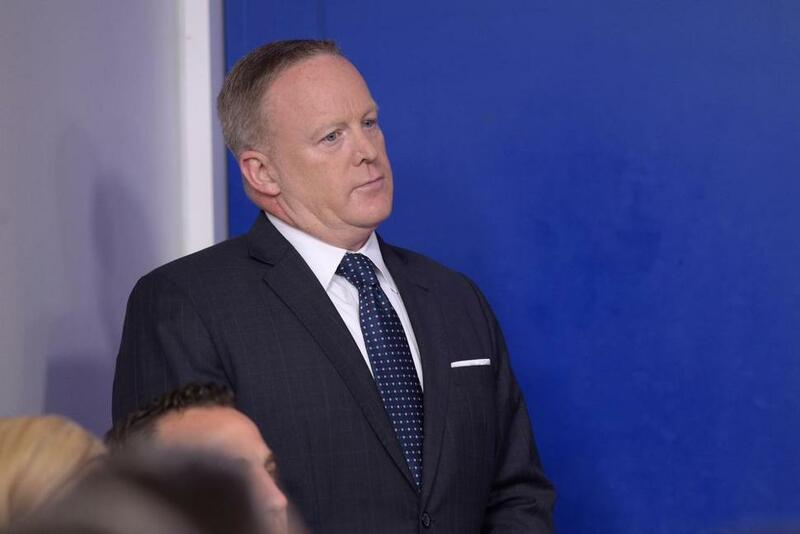 As he did in the beginning, Sean Spicer is managing both the communications and press office," White House officials said in a statement Monday. I expected this to happen much sooner, but I'm thinking it didn't happen because they couldn't find an alternative. This probably doesn't matter, given that the White House staff is going to be disappearing from TV. There is a suppression of information going on at this WH that would not be tolerated at a city council mtg or press conf with a state gov. Is there a term that means both scary and funny at the same time?